Because we consider you a friend of religious liberty – and one of our loyal First Liberty Insiders – we wanted to make you aware of something that demands immediate attention. Right now, our opponents are becoming increasingly focused and aggressive in attacking the livelihoods of Americans like you. Today, the threat of having your business shut down, being penalized thousands of dollars or even being fired from your job because of your faith is a shocking reality. And it could happen to just about anyone. Whether you operate a family business or founded a great company in accordance with your religious beliefs, or whether you’re a person of faith who sacrificed for years to build a successful career. But let’s be clear about something: Destroying someone’s livelihood because of their faith is a dagger at the heart of freedom. It runs afoul of the very essence of why our country was founded in the first place. That’s why right now our legal team is fighting a case at the U.S. Supreme Court on behalf of Melissa Klein, a cake artist whose dream bakery, Sweet Cakes by Melissa, was destroyed as an unjust punishment for politely declining to create and express a message that was contrary to her faith. As you read this, in fact, the Supreme Court Justices are reviewing the Sweet Cakes by Melissa case. Which means a decision could be issued at any time. And it’s possible that by vindicating Melissa Klein’s rights the Justices could also set a precedent to overturn the dreadful attacks on religious freedom that keep happening in the workplace – and ensure that you, your family, your business and your career do not become the next targets of this all-out assault on faith. Together, we can protect religious liberty for business owners and people of faith in the workplace. Give today. What happened to Melissa Klein isn’t an anomaly – it’s something that’s also happening to other people of faith around the country. Increasingly, we’re having to defend more and more Americans who are being forced to make a difficult decision: choosing between their faith and their livelihood. And even those who haven’t had to endure the loss of a job or their livelihood still have come very close to having their careers nearly ruined because of their religious beliefs. Coach Joe Kennedy was fired from his job as a high school football coach because he kneeled for a private, 15-second prayer after each game. Dr. Eric Walsh, a medical expert with decades of experience and multiple advances degrees, was fired from his job as a public health administrator because of the sermons he gave as a lay minister in his church. Bob Eschliman, who’d received almost 70 awards for his work in journalism, was fired from his job as newspaper editor because of religious beliefs he expressed in a personal blog post. 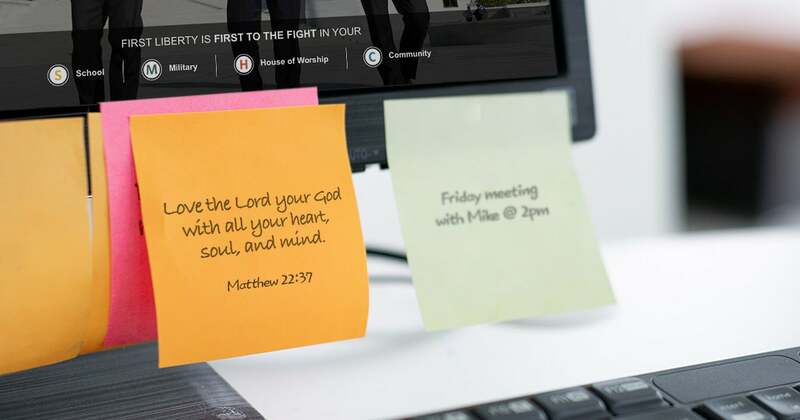 Thomas Banks, a former contractor with the Ford Motor Company, was fired after respectfully expressing his religious beliefs in an online, intra-company forum. Toni Richardson, an educational technician for children with special needs, was threatened with termination because she privately told a coworker she would pray for them. You may be asking: Why do these attacks happen so frequently? It’s largely because our opponents mistakenly interpret our Constitution and laws as saying that you’re free to believe, but you’re just not completely free to live it out – actually ACT – according to your faith. Despite the law to the contrary, people of faith have become second-class citizens in the workplace, as just about any other right trumps religious liberty, America’s first freedom. But that kind of interpretation is a radical departure from the true meaning of the First Amendment and federal statutes protecting religious freedom in the workplace. 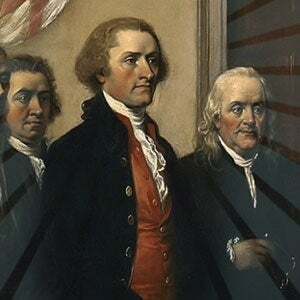 However, with the Sweet Cakes by Melissa case, we have an incredible opportunity to win a historic victory that will restore religious freedom to what our Founding Fathers intended. Let’s conclude by explaining why today this is a critical issue for you today. In America, going to work should never mean you have to leave your faith at the door. The government has no right to tell business owners, entrepreneurs or creative professionals what they can and cannot say, and much less to punish them for operating consistently with their faith. As a business owner to run your company in accordance with your religious beliefs – without the fear of having it shut down or being penalized. As an employee to live out your faith at work and to continue building your career – without the threat of being fired. And that’s why winning the Sweet Cakes by Melissa case is such an imperative task, because doing so would indeed be a turning point not just for people of faith or religious groups, but also for any and all Americans who want to live and work according to their deepest convictions. Today, we’re urging you to join First Liberty in the frontlines of this critical battle. With your support, we can win at the Supreme Court and restore religious freedom as it was originally written in the First Amendment. You have a right to live and work in accordance with your faith. Contact us immediately if you’ve been fired, or threatened with termination, because of your religious beliefs.